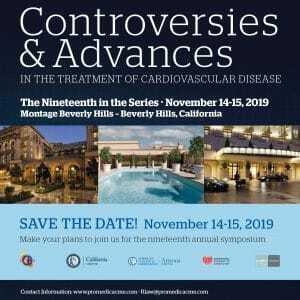 We are proud to be celebrating the nineteenth annual Controversies and Advances in the Treatment of Cardiovascular Disease symposium in 2019! The scientific program will be released very soon and will focus on realistic views of controversial issues in cardiovascular disease. Sessions will include a combination of lectures, debates, and roundtable discussions presented by a faculty of internationally renowned leaders. Visit http://www.controversiesincardiology.com/ for more information.